Rates shown are effective April 19, 2019. The eHousing reservation portal is open today, but their office is closed for Good Friday. Please contact us at HAL@NVRural.org with any questions. PLEASE NOTE: In accordance with USDA Handbook 3555-1, Chapter 7.3.B, USDA RD Guaranteed loans have an interest rate cap limited to 100 basis points (1.00 percentage point) over the following: Current Fannie Mae yield for 90-day delivery (actual/actual) for 30-year fixed rate conventional loans, rounded up to the nearest one-quarter of 1 percent. CLICK HERE to view the Fannie Mae website used to calculate the cap. 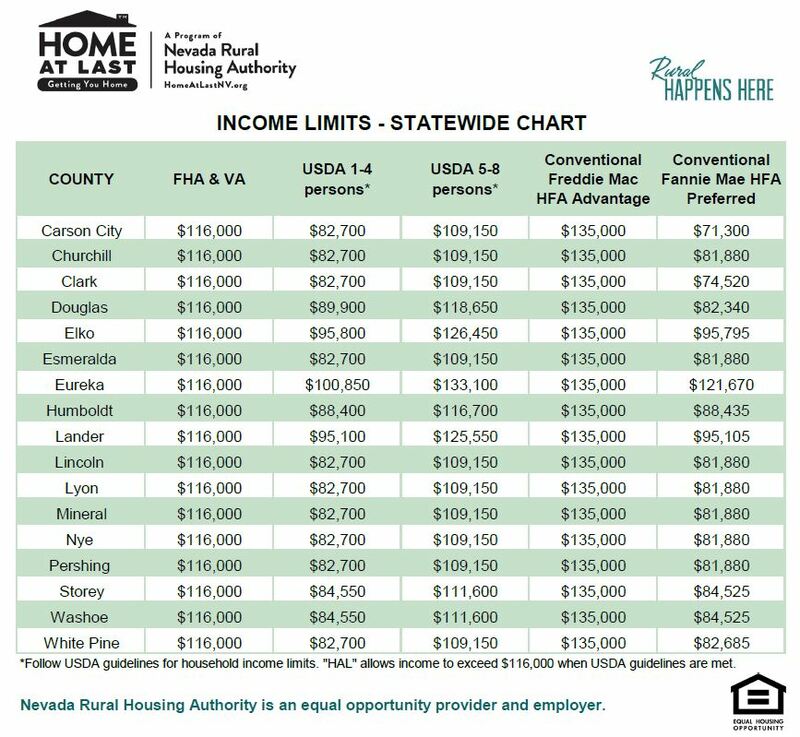 The Home At Last interest rate offered with 2% down payment assistance IS confirmed to meet USDA guidelines each morning.